When is the right time to file for Bankruptcy? | The Law Office of Emil Fleysher, P.A. 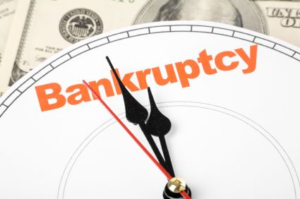 When is the right time to file for Bankruptcy? | The Law Office of Emil Fleysher, P.A. Home Blog Bankruptcy When is the right time to file for Bankruptcy? If the primary force driving you to file for bankruptcy is harassing phone calls, letters, and e-mails from your creditors, then chances are the sooner you can file the better. Filing for bankruptcy invokes the automatic stay which instantly prohibits any creditor from contacting you during the pendency of the bankruptcy case. If all goes well, at the end of your case you will receive a discharge of those debts and the temporary benefits of the automatic stay will become permanent. If the primary force driving you to file for bankruptcy is that a creditor is garnishing your pay check or bank account, then you will probably benefit from filing your bankruptcy case as soon as possible. While filing for bankruptcy will not enable you to recover the money that was already garnished, it will prevent the creditor from taking any more money out of your paycheck or bank account. In this scenario, every day that you delay filing your bankruptcy petition will potentially cost you more money. If the primary force driving you to file for bankruptcy is a foreclosure action, then the answer depends on a number of factors. If you are in pre-foreclosure or early in the foreclosure process, it may benefit you to delay the filing of your bankruptcy petition. Many things can happen in the time it takes for a foreclosure case to move from initial filing to the actual foreclosure sale. You may decide that you want to keep the house with a loan modification, sell the house and obtain a waiver of deficiency in a short sale, or you may need to maximize the time you can stay in the property in order to save money for relocation. It is important to mention that the money you save may be subject to the bankruptcy estate in a Chapter 7 bankruptcy if it can not be protected by Florida exemptions. Please consult with an attorney prior to making any legal decisions under these circumstances. An important benefit to those considering whether to file for bankruptcy due to a foreclosure is the automatic stay protection which will suspend any foreclosure activity while the case is pending (up until the foreclosure sale). Typical Chapter 7 cases can take 3-5 months to complete. In many cases, it is more beneficial to you, the debtor, to delay filing the bankruptcy petition until your other options in defending against the foreclosure have been exhausted.